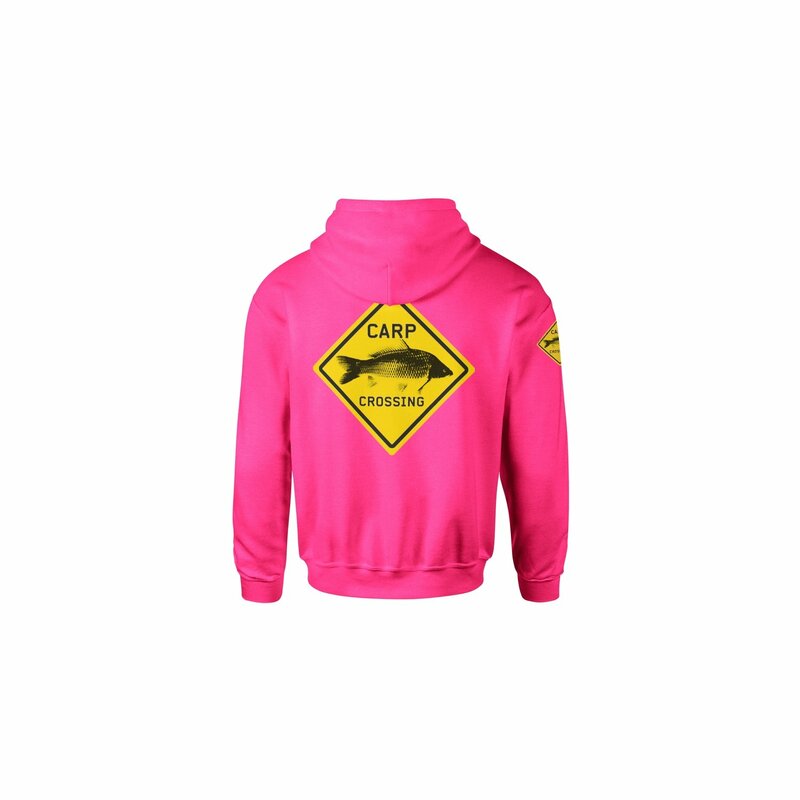 This is the Carpcrossing Classic Hoodie in Kid sizes. Carpcrossing is the only brand having Kids carp fishing clothing. The Carpcrossing Classic Hoodie is the first Hoodie we brought out. Since the start of Carpcrossing, years back, many anglers across the world are wearing this hoodie. We will always keep the classic in the store as a tribute to how it all started out. All Carpcrossing clothing is designed by Ed Skillz. His creative background as tattoo artist was the base for creating the Carpcrossing Brand.